High office commands a lot of exposure, be confident when the ballots are counted. 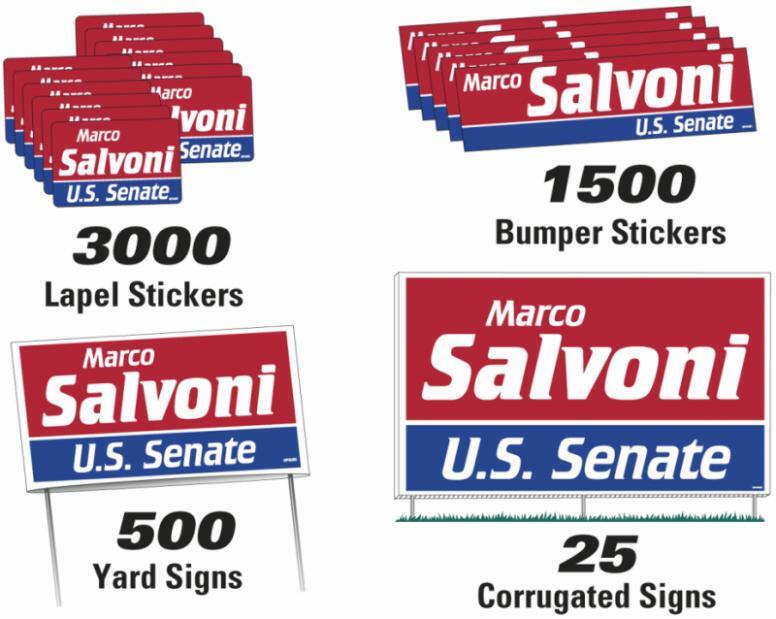 Everything you need for the election including the important four foot wide signs. 48 W x 24 H Corrugated Double Sided Plastic Signs with 3 Steel Rods. signs are 3/16 thick with sturdy steel ground rods. Each of the kit components is boxed separately.